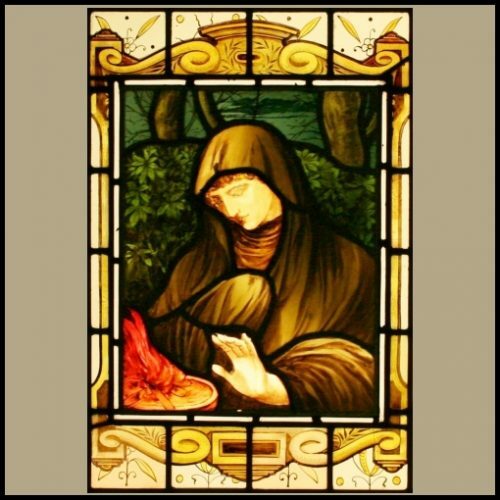 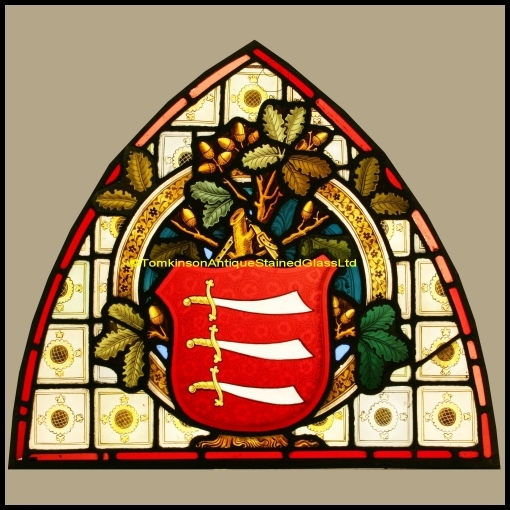 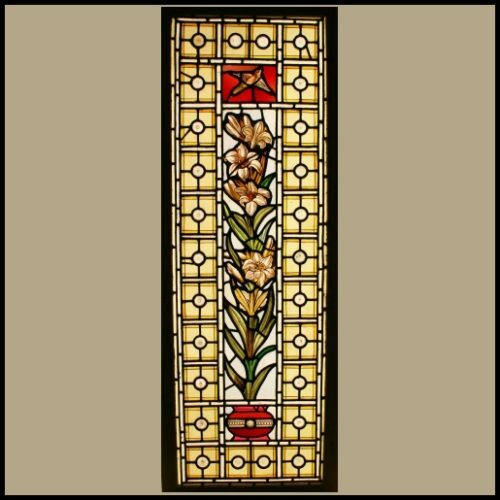 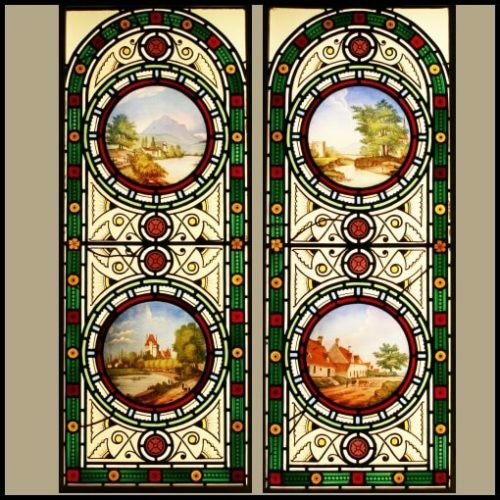 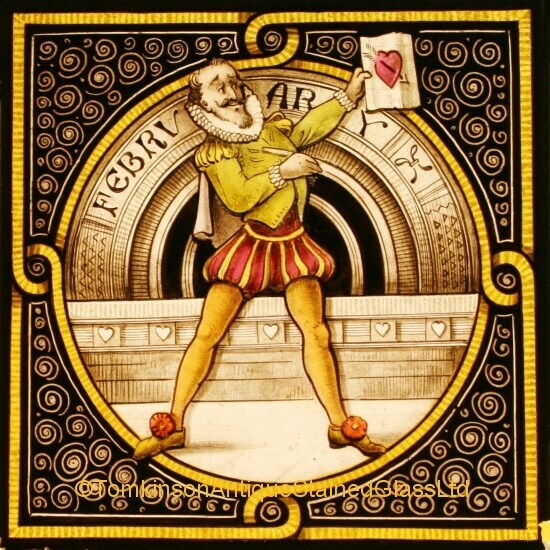 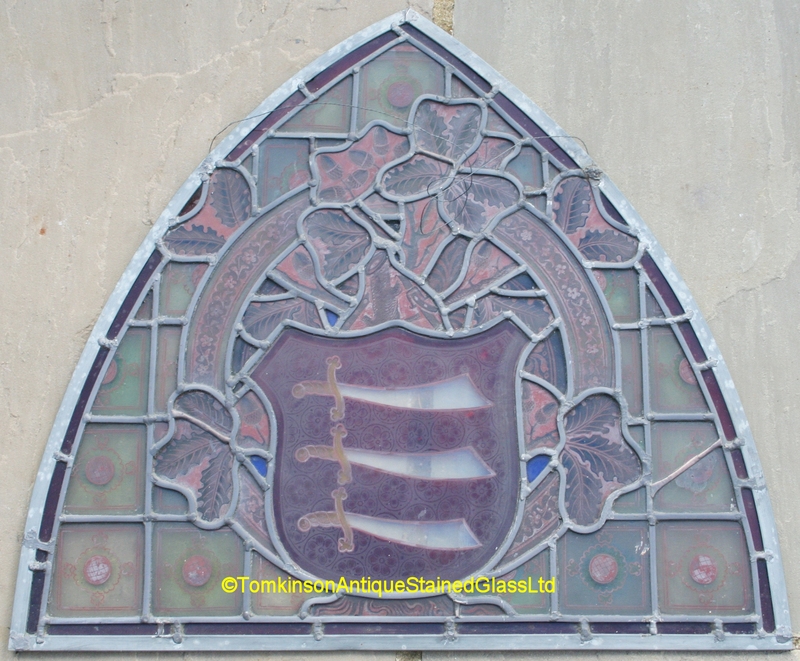 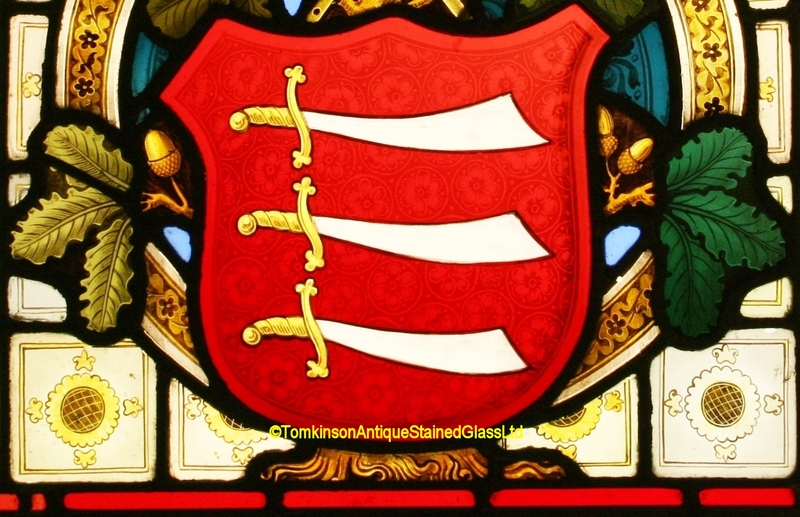 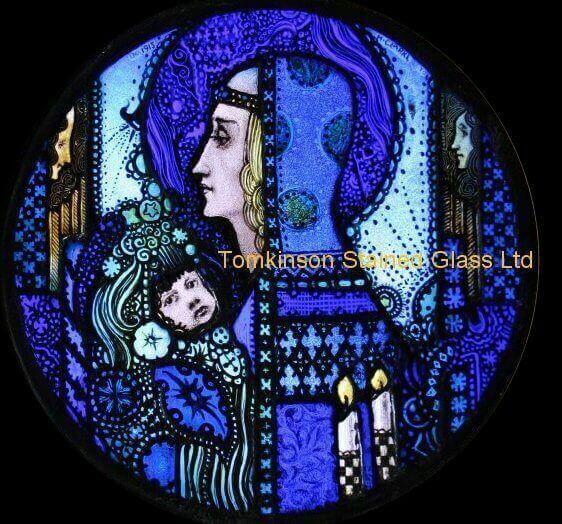 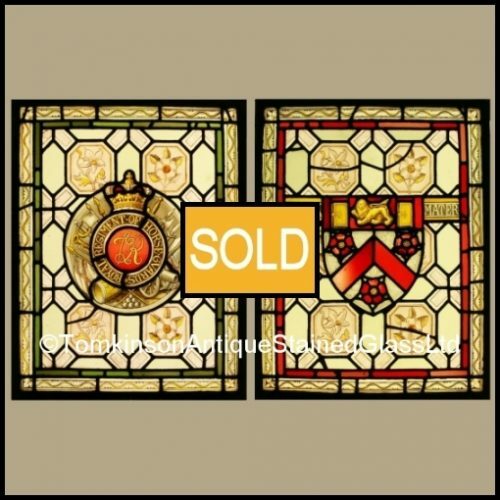 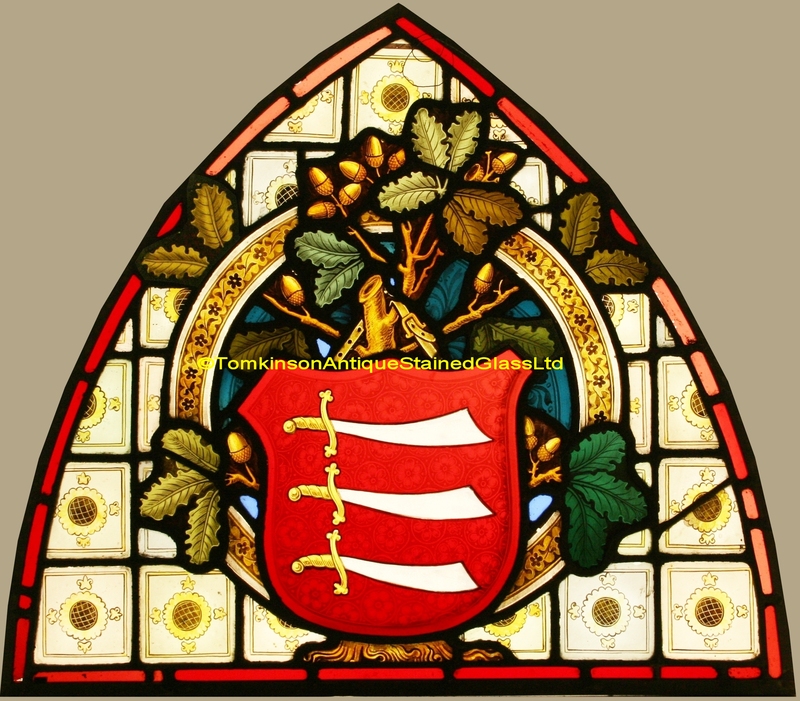 Antique victorian stained glass panel, originally the top part of a lancet window. 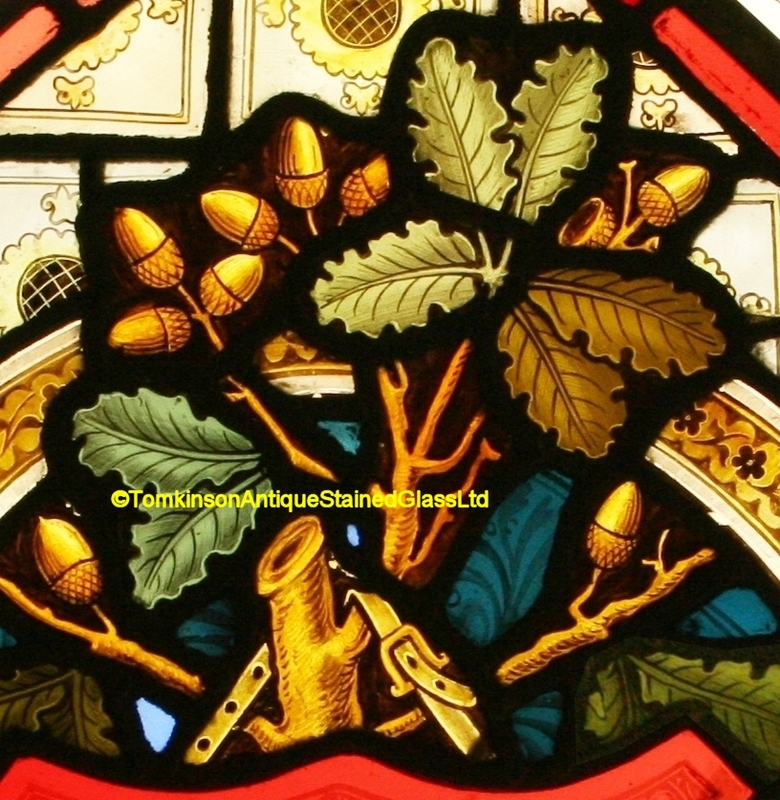 Leaded with a central acid etched shield depiction 3 dagers, around are branches of oak leaves, acorns and squares of stylised flowers. 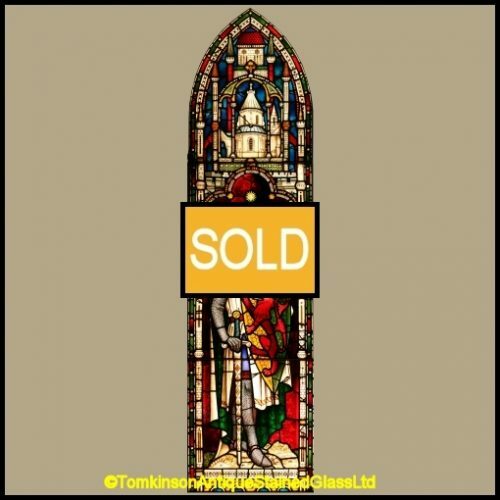 In excellent condition and suitable to be hung up at window.